Another week another video! I decided to do my simple Twist-Out method because I felt like wearing my hair out. I consider this as my most simple method because I only use my DIY Creamy Leave-In conditioner to moisturize and seal with my DIY mixed Sealing Oil. The next morning I use a tiny bit of my DIY Mixed Sealing Oil on my fingertips to undo the Twists and avoid extra frizz, separate each Twist , fluff my hair and I am done. 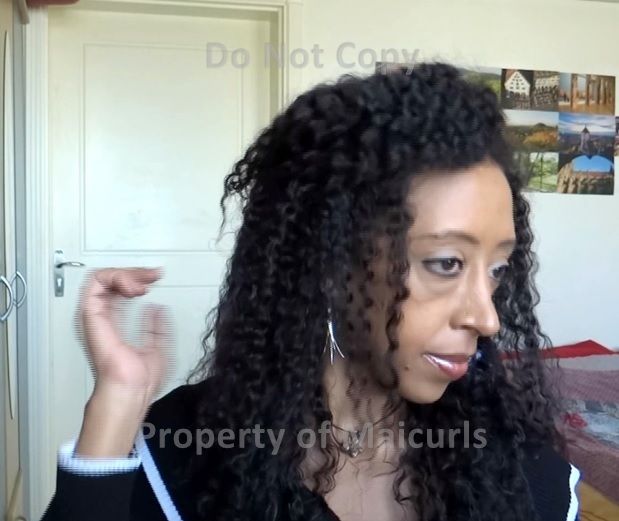 I have a noted down a step-by-step of my chunky Dry Twist-Out here as well as a link to my YouTube video here. What do you use when you dry twist your hair? This entry was posted in Twist-outs, Two Strand Twist and tagged Chunky Twist-outs, Twist-out, Two strand Twist Out on February 2, 2014 by Maicurls.